In contrast to the sombre tone of Yom Teruah and Yom Kippur, this high-sabbath celebration which ends with the high sabbath of the Eight Day is a time of joy. As stated earlier; Sukkot (Tabernacles) can also be called the Feast of In-gathering. Yeshua told us that the harvest represents the end of the age (Olam Hazeh), as found in Matthew 13:39. The harvest in-gathering refers more specifically to people who accept Messiah into their lives in repentance Matthew 9:35-38. Yahweh is even now in-gathering both Jews and non-Jews together to accept the Messiah Yeshua into their lives. The people on earth are in the valley of decision (Joel 3:13-14). What will be your decision? Will you accept the Jewish Messiah Yeshua into your life in repentance? “On the fifteenth of this seventh month is the Feast of Booths for seven days to the Lord” (Leviticus [Vayikra]) 23:34 NAS). You shall celebrate the Feast of Booths seven days after you have gathered in [the ingathering, KJV] from your threshing floor and your wine vat (Deuteronomy [Devarim] 16:13 NAS). Sukkot, usually translated as “Tabernacles,” or the festival of “Booths,” and occurs for seven days from Tishri 15 to 21 with each start and finish day a high-sabbath . There is therefore a quick transition from a sombre mood of repentance and judgement, to a holiday of rejoicing and celebration, for which the people are commanded to build a hut [sukkah; plural, sukkot) and make it their home. The Torah identifies the sukkah (booth) with the temporary dwellings in which the Israelite people lived in the wilderness after they left Egypt on their way to the Promised Land (Leviticus [Vayikra] 23:42). From Yom Kippur To Sukkot. Not coincidentally, the same time period marks the beginning of the construction of YHVH’s sukkah, the mishkan, the sanctuary in the desert (Exodus [Shemot] 25:8-9). In Exodus 25:9, the word tabernacle is the word mishkan in Hebrew. According to tradition, Moses (Moshe) again ascended Mount Sinai for 40 days and nights to receive the second set of tablets and descended on Yom Kippur, carrying them as a sign of YHVH’s forgiveness of Israel for the sin of the golden calf, and as a symbol of the lasting covenant between YHVH and Israel (Exodus [Shemot] 24:12-18; 34:1-2; 27-28). The following day Moses (Moshe) relayed YHVH’s instructions for building the mishkan — a dwelling place. Material for this portable structure was collected during the days before Sukkot, and work was begun on it (the mishkan or tabernacle) (Exodus [Shemot] 35; 36:1-7). Why was the mishkan built? The Torah says, “Let them make Me a sanctuary, that I may dwell among them” (Exodus [Shemot] 25:8); to establish the relationship between YHVH and Israel, YHVH would dwell amidst the people. Therefore the mishkan, the tabernacle in the wilderness, was instructed to be built by YHVH for Him so He could dwell with His people. The Sukkah And The Clouds Of Glory. The Sukkah reminds us of the clouds of glory that surrounded Israel during their wandering through the desert on the way to the Promised Land. Everybody then saw the special Divine protection that YHVH bestowed upon Israel during those difficult years. As it is written in Exodus (Shemot) 13:21, “And the Lord was going before them in a pillar of cloud by day to lead them on the way, and in a pillar of fire by night to give them light, that they might travel by day and by night” (NAS). YHVH desired that the tabernacle in the wilderness be built because He wanted to dwell with His people (Exodus [Shemot] 29:44-45). Spiritually speaking, this physical tabernacle was given by YHVH to teach and instruct us that He desires to live and dwell with His people by means of the Holy Spirit (Ruach HaKodesh) (1 Corinthians 6:19; 2 Corinthians 6:1). The clouds represent the believers in Yeshua (Hebrews 12:1; Revelation 1:7). Sukkot: Names, Themes, And Idioms. Understanding Sukkot: The Feast Of Tabernacles. The Feast of Tabernacles (Sukkot) completes the sacred festivals of the seventh month. In contrast to the somber tone of the Feast of trumpets and the Day of Atonement, the third feast of Tishrei or Etha’nim was a time of joy. Israel had passed through the season of repentance and redemption. Sukkot is called the “Season of Our Joy.” One reason Sukkot was a time of joy was that after the season of repentance (Teshuvah) and the redemption of Yom Kippur came the joy of knowing your sins were forgiven and the joy of walking with YHVH, knowing YHVH, and being obedient to YHVH. Historically, Sukkot commemorates the days in the wilderness of Sinai after coming out of Egypt (Mitzayim). According to all natural laws, they (the Israelites) should have perished, but were instead divinely protected by YHVH. Prophetically, Sukkot is the festival that teaches on the Messianic Kingdom and the joy of that Kingdom. As mentioned earlier, the Hebrew word chag comes from the Hebrew root word chagag, which means “to move in a circle, to march in a sacred procession, to celebrate or dance.” The joy of Sukkot was so great that it became known as “The Feast.” In non-Jewish circles, Sukkot is known as the Feast of Tabernacles. The word tabernacle refers to a temporary dwelling place, which is the purpose of the sukkah. The sukkah or booth, symbolizes man’s need to depend upon YHVH for his provision of food, water, and shelter. This is true in the spiritual realm as well. The booth is the physical body, which is a temporary dwelling place for our souls and spirits (1 Corinthians 6:19-20). We need the food that the Word of YHVH provides (Matthew 6:11; 4:4; John 6:33-35); the cleansing, rinsing, and washing that the Word of YHVH brings to our lives (Ephesians 5:26); and the shelter of YHVH’s protection over our lives from the evil one (Matthew 6:13; Psalm [Tehillim] 91). Our physical needs will be provided for by YHVH if we seek Him spiritually (Matthew [Mattityahu] 6:31-33). The Covering Of The Sukkah. Sukkot is a remembrance of the time in the wilderness when YHVH protected, led, and sustained the children of Israel in the wilderness. The wilderness experience was a picture of the Millennium because there was a supernatural environment for the people in the wilderness. The covering was the cloud (Exodus [Shemot] 13:17-22; 14:16-20; 16:10; 19:1,9,16; 24:12-16; 40:1-2,35-38). This is known spiritually as the immersion (baptism) into the cloud (1 Corinthians 10:1-2; Hebrews 6:1-2). The cloud was a covering shelter and protection by day, and was a pillar of fire by night. It was warmth, light, and protection. The cloud was seen as a chuppah a wedding canopy. In Daniel 7:13 it is written, “.. .the Son of man came with the clouds of heaven….” This is also mentioned in Revelation 1:7-8 and Jude 14. Here we see that the clouds are the believers in Messiah or the righteous (tzaddikim). The same can be seen in Hebrews 12:1. Also look at Isaiah (Yeshayahu) 60:8 and Acts 1:9-12. Remember; the cloud does not only refer to the believers in the Messiah, but was also seen as a chuppah, a wedding canopy. In Isaiah (Yeshayahu) 4:2, it speaks of the branch of the L-rd. This is defined in Isaiah (Yeshayahu) 11:1 as being Yeshua. In Isaiah (Yeshayahu) 11:1, the Hebrew word netser is a masculine form translated as “branch.” In Isaiah (Yeshayahu) 4:2, the Hebrew word translated as branch is tzemach, which is neuter. We can see from this that a marriage is being performed. 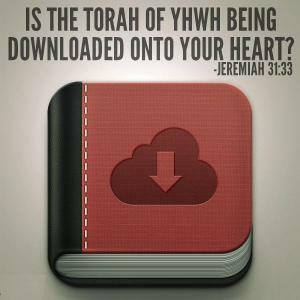 This is very clear in Jeremiah (Yermiyahu) 23:5-6; 33:15-16. Understanding The Meaning Of Booths/Tabernacles. Yeshua tabernacles (sukkot) among us (John [Yochanan] 1:14). The tabernacle of David was a tent or dwelling place (Acts 15:16; Amos 9:11). This tabernacle was the temple of Solomon (1 Kings [Melachim] 5:2-5; 8:1-21). The Bible speaks of a heavenly tabernacle (Hebrews 8:1-2; Revelation 13:6; 15:5). This heavenly tabernacle will come to earth (Revelation 21:1-3). 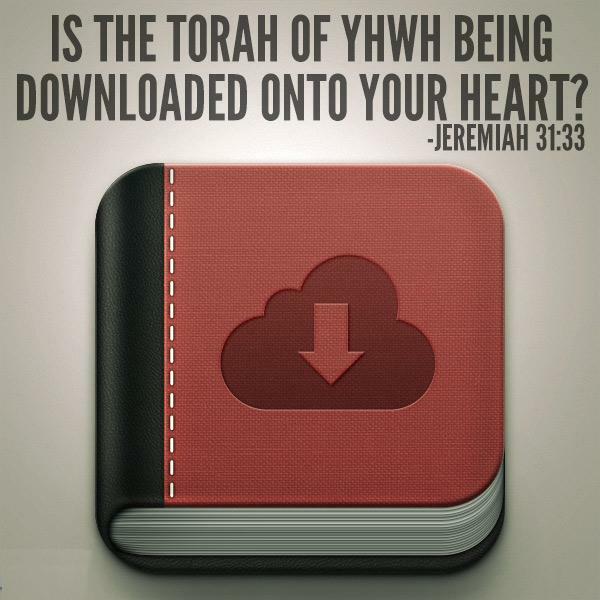 Yeshua was the true tabernacle of YHVH (Hebrews 9:11). Like the other pilgrimage festivals, Sukkot [tabernacles] has an agricultural element. It marks the time of the harvest, the final ingathering of produce before the oncoming winter. Hence, it is also called Hag HaAsif, the festival of Ingathering. As it is written, “You shall celebrate the Festival of Ingathering, at the end of the year, when you gather in your labors out of the field” (Exodus [Shemot] 23:16). As stated earlier; Sukkot (Tabernacles) is called the Feast of Ingathering. Yeshua told us that the harvest represents the end of the age (Olam Hazeh). This is found in (Matthew [Mattityahu] 13:39; Revelation 14:15; Joel [Yoel] 3:13). The harvest refers more specifically to people who choose to accept the Messiah Yeshua into their hearts and lives (Matthew [Mattityahu] 9:35-38; Luke 10:1-2; John [Yochanan] 4:35-38; Revelation 14:14-18). YHVH is gathering both Jews and non-Jews together to accept the Messiah Yeshua into their lives. Most of the people on earth have not accepted Yeshua into their lives and are in the valley of decision (Joel [Yoel] 3:13-14). What is your decision? Will you accept the Messiah Yeshua into your life? The Feast Of The Nations. Another name for the Feast of Sukkot (Tabernacles) is the Feast of the Nations. Sukkot (Tabernacles) will be celebrated by all the nations on earth during the Messianic age, the Millennium (Zechariah 14:16-18). The future observance of Sukkot by the nations of the world rests upon Israel’s election and mission. The universal concern of YHVH’s plan for the Jewish people reaches back to the covenant with Abraham (Avraham). In that agreement, YHVH promised in Genesis (Bereishit) 12:3, as it is written, “…all families of the earth [shall] be blessed [through his seed].” From Abraham (Avraham), YHVH would raise up a people, Israel, to be a blessing to the nations. That promise was fulfilled through Yeshua, the Messiah, as stated in Galatians 3:8,14,16,29. In fact, the greatest evangelism in the history of the world will be by 144,000 anointed members from the tribes of Israel proclaiming the gospel (basar) of the Kingdom of Heaven through Yeshua HaMashiach (Revelation 14:1-7). Although YHVH is concerned for the universal redemption of the nations, those nations who do not turn to YHVH will be judged. Either they will not receive rain (Zechariah 14:1-9,16-18), or rain will destroy them and be a curse upon them (Ezekiel [Yechezekel] 38:22-23). This is why the traditional Bible reading for the second day of Sukkot is Zechariah 14 and Ezekiel 38:14 to 39:16. The Four Species (Arba Minim). As part of the Feast of Ingathering, palm branches, myrtle branches, and willow branches are collected and held in the right hand (Leviticus [Vayikra] 23:40). A fourth entity, the etrog, representing the Gentiles or non-Jewish believers, is also gathered. These four species are used in a ceremony for Sukkot (Tabernacles). At the start of the ceremony, the etrog is upside down. The spiritual meaning is, before we came to YHVH, we were in a state of being upside down. Through the ceremony, it is turned right side up and joined to the other three. This represents a marriage that is taking place. After we are turned right side up and turn to YHVH, we later are joined to Him in marriage. The Celebration Of Water Pouring. The whole road back to the temple (Beit HaMikdash) was lined with pilgrims as they went to Jerusalem (Yerushalayim) to celebrate the festival as they were commanded by YHVH to do. Sukkot (Tabernacles), along with Shavuot (Pentecost), and Passover (Pesach), were known as the pilgrimage festivals (Deuteronomy 16:16). There would be a signal and the priests would step out with their left foot, and then step to the right, swinging the willows back and forth. Meanwhile, a third group of priests, headed by the high priest (Cohen HaGadol), went out the gate known as the Water Gate. They had gone to the pool known as “Siloam” (John [Yochanan] 9:7,11), which means “gently flowing waters.” There the high priest had a golden vase and drew the water known as the living water (mayim hayim) and held it in the vase. His assistant held a silver vase containing wine. Just as the priests in the valley of Motzah began to march toward Jerusalem (Yerushalayim), so did the priests in Siloam. As they marched toward the city of Jerusalem (Yerushalayim), the willows made a swishing sound in the wind as they approached the city. The word wind in Hebrew is Ruach. The word spirit in Hebrew is also Ruach. Therefore, this ceremony was symbolic or representative of the Holy Spirit (Ruach HaKodesh) of YHVH coming upon the city of Jerusalem (Yerushalayim). The flute player led the procession. The pierced one blows the call for the wind and the water to enter the temple. The priests from Motzah swishing the willows come into the temple (Beit HaMikdash) and circle the altar seven times. The priests that were slaying the sacrifices are now ascending the altar, and they begin to lay the sacrifices on the fires. The high priest and his assistant ascend the altar and all the people of Israel are gathered into the courts around there. The people start singing the song Mayim, saying, “With joy we will draw water out of the well of salvation [Yeshua]” (Isaiah [Yeshayahu] 12:3; Mishnah, Sukkah 5:1). The high priest takes his vase and pours its contents on one of the comers of the altar where the horns are. There are two bowls built into the altar. Each bowl has a hole in it. The water and the wine are poured out over the altar as the priests who had the willow start laying the willows against the altar, making a sukkah (a picture of YHVH’s covering). In this, we have a picture of Yeshua as He was on the tree. He was on the altar (tree) when His heart was pierced (John [Yochanan] 19:34), then the water and the blood separated and they were poured out. YHVH through Yeshua was providing a covering (sukkah) for all those who would believe in Him. During the time of Yeshua, the Feast of Sukkot set a magnificent stage for the preaching of the Messiah. Rain is essential to the growing of crops and Israel, an arid land, prizes rain greatly as a blessing from YHVH. Rain was a prominent feature in the celebration of the Feast of Sukkot. The ceremony of the water drawing held a significance much deeper than its agricultural implications. The rain represented the Holy Spirit (Ruach HaKodesh) and the water drawing pointed to that day when, according to the prophet Joel [Yoel], YHVH would rain His Spirit upon (all flesh) (Joel [Yoel] 2:28-29). The connection of water to this verse is YHVH pouring out His Spirit. In the Talmud we read, “Why is the name of it called the drawing out of water? Because of the pouring out of the Holy Spirit, according to what is said, ‘With joy shall ye draw out of the wells of salvation’” (Isaiah [Yeshayahu] 12:3). Sukkot was given by YHVH to teach us of the Messianic era, the Millennium, when the earth will experience the greatest outpouring of YHVH’s Spirit. Hoshana Rabbah (The Great Salvation). The circling of the altar seven times instead of once while carrying the four species and reciting the Hoshana prayers. The beating of the willows. Spiritually speaking, in the Bible, there is a link between water and the outpouring of the Holy Spirit (Ruach HaKodesh). Yeshua told the woman at the well to drink of living water (John [Yochanan] 4:7-14; 6:35; Matthew [Mattityahu] 5:6). This relationship between water and the outpouring of the Holy Spirit (Ruach HaKodesh) is contained in the symbolism of pouring out water. Isaiah (Yeshayahu) 44:3 links the pouring out of water with the pouring out of YHVH’s Spirit. Isaiah (Yeshayahu) parallels the thirsty land and links water with the Holy Spirit. The link can also be seen in Joel (Yoel) 2:23,28; Acts 2:1-4,14-17; and Ezekiel (Yechezekel) 39:22,27-29. Zechariah 14:8 speaks of living waters. Isaiah (Yeshayahu) 12:2-3 speaks of drawing water out of the wells of salvation. Water and the Spirit are connected in Psalm (Tehillim) 42:1-4; Zechariah 13:1; and Revelation 7:17. It can also be seen in Ezekiel (Yechezekel) 36:24-27. The Festival Of Lights (The Light Of The Temple). The mood was festive. Pious men, members of the San Hedrin, and heads of different religious schools would dance well into the night, holding bright torches and singing psalms of praise to YHVH. Jerusalem (Yerushalayim) glistened like a diamond that night and her light could be seen from afar. In addition, during this festival of Sukkot (Tabernacles) and this time, in the court of the women of the temple between the four posts of light, the accusers brought to Yeshua the woman caught in the act of adultery (John [Yochanan] 8:1-11). Yeshua forgave the woman and proceeded to write a message on the ground (John [Yochanan] 8:5-9). What did Yeshua write? The answer is in Jeremiah 17:13. In these things, we can see that Yeshua taught the people the messages of the festivals during the festivals. Please also see The Adulteress Woman article coming soon. Israel: A Light (Witness) To The Nations. Israel was chosen to be YHVH’s light to the world (Deuteronomy [Devarim] 7:6-8). The mission that YHVH chose for Israel was one of service to YHVH. The reason is very simple. YHVH wanted a people out of the world whom He could use and work through to show His glory to the world. That is why He chose Israel and that is what every follower of the Messiah is chosen to be. In doing so, YHVH could reveal His redemptive plan to the whole world so the world could see that YHVH and His Messiah Yeshua are light (John 1:1-4; 1 John 1:5). Israel was to be a witness (light) to the world. This can be seen in the following Scriptures: Isaiah (Yeshayahu) 43:1,10,12,14; Luke 24:44-49; and Acts 1:1-8. Israel’s mission was to proclaim to the world that the YHVH of Israel is the only true YHVH and there is no other Savior but He (Acts 4:10,12). Israel as a corporate nation failed in her mission to be a witness to the world. Not only were the people disobedient to the commandment of YHVH, but they also did not become a light to the world. On the contrary, the world as a corporate people have always hated the Jewish people. As individual members who believed and followed after YHVH, the Jewish people were faithful to their task. We only need to consider the faithfulness of Abraham, Isaac, Jacob, Moses, the prophets, and the kings such as David and Solomon. In fact, consider the very Bible which you are able to read today; it was written by faithful Jewish servants of YHVH led by the Holy Spirit (Ruach HaKodesh) of YHVH. Most of all, the greatest light and witness the world has ever known was Jewish. His name is Yeshua, the Messiah! Because Israel birthed the Messiah, they, in essence, have been a blessing to all nations through Him (Genesis [Bereishit] 12:3; Galatians 3:8,14,16,29). Although Israel corporately failed in her mission, this is not a permanent failure. It is a temporary setback to her destiny of being a blessing to all nations, which will be accomplished during the thousand-year reign of the Messiah known as the Messianic Kingdom or the Messianic age. Israel still remains YHVH’s chosen people (Romans 11:25-29), and still has a role to play in the future of the world (Romans 11:12,15). The prophet Isaiah (Yeshayahu) spoke of a future time when Israel would be used by YHVH to bring the message of Messiah to the nations, for the nation of Israel will have a central part in the thousand-year reign of the Messiah (Isaiah [Yeshayahu] 62:1-5). Israel will be a blessing to all nations at this time (Malachi 3:12; Ezekiel [Yechezekel] 34:23-30; Zechariah 8:11-15; Isaiah [Yeshayahu] 19:23-25). Jerusalem (Yerushalayim) will be the spiritual focal point of the world and this time will be Israel’s “Golden Age,” during the Messianic era, because the King of Jerusalem, the Prince of Peace, will reign in Jerusalem (Yerushalayim) (Isaiah [Yeshayahu] 2:2-4; 52:9-10; 62:7-8, Micah [Michah] 4:1-3; Psalm [Tehillim] 102:18-21; 125:1-2; 137:5-6). The day is coming when a restored and renewed Israel will once again be a light to the nations, for the destiny of Israel is linked to the destiny of the world! The Birth Of Yeshua During Sukkot. In Luke 1:5, Zachariah (Z’karyah) is a priest (Cohen) of the division of Abijah (Avijah). What does this mean? Israel was divided into 24 districts at the time of Yeshua. Each of these districts sent two representatives to officiate at the temple during the weeks of the year. In First Chronicles (Divery Hayamim) 24, the first division of the priests would serve in the first week of the year, which would be both in the month of Nisan and the month of Tishrei since both months begin the new year. As we saw earlier, Nisan is the first month in the religious calendar set up by YHVH in Exodus (Shemot) 12:2 and Tishrei is the first month of the year according to the civil calendar. During the third week in the month of Nisan, the priests from all 24 districts would come to the temple to help during the week of Passover (Pesach). This would also be the case for the festival of Pentecost (Shavuot) and for the festival of Sukkot (Tabernacles) when all males were required to go to Jerusalem (Yerushalayim) as specified by YHVH in Deuteronomy (Devarim) 16:16. In First Chronicles 24:10, we see that abijah was the eighth division or course of priests. The course of abijah would minister during the tenth week of the year. Remember, the weeks of Passover and Shavuot would not be counted because all the priests were required to go to Jerusalem then. In Luke 1:9-10, we see that Zacharias is burning incense. This is done in the room of the temple known as the Holy Place. As the incense (which represents the prayers of YHVH’s people [Psalm (Tehillim) 141:2; Revelation 8:3-4]) is being burned by the priests in the temple, 18 special prayers are prayed. These 18 prayers would be prayed every day in the temple. One of these prayers is that Elijah (Eliyahu) would come. This is important because it was understood by the people, as YHVH established, that Elijah (Eliyahu) would precede the coming of the Messiah as stated in Malachi 4:5. Allowing two weeks for the laws of separation that YHVH commanded in Leviticus (Vayikra) 12:5; 15:19,24-25 after going back to the house (Luke 1:23) and then going forward nine months (Sivan [tenth week] + 2 weeks + 9 months) puts the birth of John (Yochanan) during the festival of Passover (Pesach). This is an extremely important point because during the service for Passover, which is called the Passover Seder, the people are instructed by YHVH to go to the door during one part of the service and look for Elijah (Eliyahu) while the Passover meal is eaten. The cup is called the cup of Elijah. The understanding of Elijah preceding the coming of the Messiah was the basis for the question in Matthew (Mattityahu) 17:10-13. In Luke 1:26 during the sixth month of Elisabeth’s (Elisheva) pregnancy, the angel Gabriel appeared to Mary (Miryam). This should have been around the twenty-fifth of Kislev, otherwise known as Chanukah. During the time of the first century, Chanukah was known as the second Sukkot. During the time of Chanukah, all of the Sukkot prayers are prayed once again. Mary’s (Miryam) dialogue with the angel Gabriel is found in the Sukkot liturgy today. If you calculate from the twenty-fifth of Kislev and add eight days for the festival of Chanukah plus nine months for Mary’s (Miryam) pregnancy, this will bring you around the time of the festival of Sukkot, or Tishrei 15. On Tishrei 22, known as Shemini Atzeret or the eighth day, Yeshua would have been circumcised (Luke 2:22-23; Leviticus [Vayikra] 12:1-3). Other Evidences of Yeshua’s Birth During Sukkot. During the Feast of Sukkot (Tabernacles), YHVH required that all male Jews come to Jerusalem (Yerushalayim) (Deuteronomy [Devarim] 16:16). For this reason, the city would be overcrowded with people and would explain why Mary (Miryam) and Joseph (Yosef) could not find lodging in and around Jerusalem (Yerushalayim) (Luke 2:7). Bethlehem, the place where Yeshua was born, is only about four miles from Jerusalem. One of the requirements during the time of Sukkot was to build an outside temporary shelter and live in it during this festival season. This shelter is called a booth, or sukkah. The sukkah had to be built with an opening in the roof so the people could see the stars in heaven. This is another reason for why the rabbis would be looking for, and thus seeing, the star in the sky when it appeared. In addition, there was a prophecy in Numbers (Bamidbar), as it is written, “…a star shall come forth from Jacob…” (Numbers [Bamidbar] 24:17 NAS). King Herod inquired about where the Messiah would be born in Matthew (Mattityahu) 2:4. He was told in Bethlehem (Matthew [Mattityahu] 2:5-6), based upon the prophecy in Micah 5:2. In Matthew 2:10 it is written, “When they saw the star, they rejoiced with exceeding great joy.” Once again, remember that Sukkot is called “the season of our joy.” In Matthew 2:2, the rabbis saw the star from the East. Salvation was seen by the Jewish people as coming from the East. Yeshua descended from the tribe of Judah (Revelation 5:5). The tribe of Judah was positioned on the east side of the tabernacle of Moses (Moshe) in the wilderness. Finally, in Luke 2:32, Yeshua is called a light to the Gentiles. Once again, Sukkot is called “the festival of lights” and “the festival of all nations.” Please see the article in our Star of Bethlehem section. Therefore, by studying and understanding the festival of Sukkot and the themes and messages that YHVH desired to be conveyed during this festival, enables us to read the Bible in a new light; it enables us to understand that Yeshua was born during the season of Sukkot and that He is the Star we are all called to see with our (spiritual) eyes! Spiritual Significance Of The Feast Of Sukkot. One of the most outstanding truths of the Feast of Sukkot (Tabernacles) involves the seasonal rains in Israel. The prophet Joel (Yoel) tells us that the former and latter rain would come in the first month (Joel [Yoel] 2:23). This is because Passover (Pesach) is the first month in the religious or sacred calendar, and Sukkot (Tabernacles) is the first month in the civil calendar. So Israel has two first months in the same year because of the special calendar that YHVH set up in Exodus (Shemot) 12:2. YHVH promised Israel that upon their obedience to the covenant He made with them at Mount Sinai (Exodus [Shemot] 34:10; Deuteronomy [Devarim] 5:2; 29:12-15), that He would give them the rains in their due season (Deuteronomy [Devarim] 11:10-17). No rain was a sign of judgment and the curse of YHVH on the land as well as on the people (l Kings [Melachim] 8:33-43; 17:1-7; 18:41-46; Proverbs [Mishlai] 16:15; Amos 4:6-13; Joel [Yoel] 1:10-12). Today, the land of Israel is becoming green once again (Isaiah [Yeshayahu] 35:1; Ezekiel [Yechezekel] 36:24-38; Joel [Yoel] 2:18-27). The rain is a type of the Holy Spirit (Ruach HaKodesh) being poured out upon all flesh (Acts 2:1-8,14-21; Joel [Yoel] 2:23,28-29). The Word of YHVH (Torah) is likened to the rain (Deuteronomy [Devarim] 32:1-3; Isaiah [Yeshayahu] 55:8-12; Ephesians 5:26). The Holy Spirit (Ruach HaKodesh) is also likened to the rain (Joel [Yoel] 2:21-32; Acts 2:1-8,14-21; James 5:7; John 7:37-39). Rain is associated with righteousness in Hosea (Hoshea) 10:12. YHVH has made His righteousness available for all who believe on the Messiah (Romans 3:21-22; 5:17). Rain also speaks of revival, restoration, and returning to YHVH (Teshuvah) and trusting (emunah) in Him. Just as the rain came after Elijah prayed seven times for it (1 Kings [Melachim] 18:41-46), the great rain or outpouring of YHVH’s Holy Spirit will come when the believers in the Messiah will earnestly pray to YHVH that it be done. YHVH has already declared that He would pour out His Holy Spirit during the seventh month, which is a spiritual picture of the end of the age (Olam Hazeh). So far, we have for the most part seen only showers of blessing (Ezekiel [Yechezekel] 34:26). The greatest outpouring of YHVH’s Spirit is yet to come. The feast of Sukkot (Tabernacles) and the rain speaks of a mighty outpouring of the Holy Spirit of YHVH, a universal outpouring of His Spirit. This outpouring will be accompanied by signs and wonders and manifestations of the gift of the Holy Spirit (Ruach HaKodesh) as well as a revelation and illumination of the Word of YHVH beyond all that has ever been seen in the history of the congregation of believers (kehilat) in the Messiah. This outpouring will touch every nation, both Jew and non-Jew. The believer in the Messiah who is living at the time of the latter rain is called to seek the L-rd and ask Him to send rain on the people of the earth (Zechariah 10:1; Psalm [Tehillim] 46:4; 65:9-10; Jeremiah [Yermiyahu] 5:23-24; 31:10-14).